My son simply loves stories, especially long ones which can help him easily go in good night’s sleep. To be honest I am a fan of my husband’s story making skills. He keeps in mind the innocence of our son and bends even mythological stories. When he recites those stories in front of our curious little champ, I enjoy the conversation that happens between father and son. My husband beautifully explains things to our son and after repeatedly listening to the same story, my son demands a new one. I would like to thank BlogAdda and Colgate-Palmolive (India) limited who launched the blogging campaign #ColgateMagicalStories. After reading the campaign details, my mind immediately recalled every day want of stories for my son and I thought it would be both fun and challenge to create stories around space characters printed on the back side of Colgate special pack. From registering to this campaign till I received those three sets of Colgate, I was introducing the whole new world of Space and planets to my son. I was preparing the base so that when I recite stories around space characters, my son don’t lose his interest because of any gray sides. 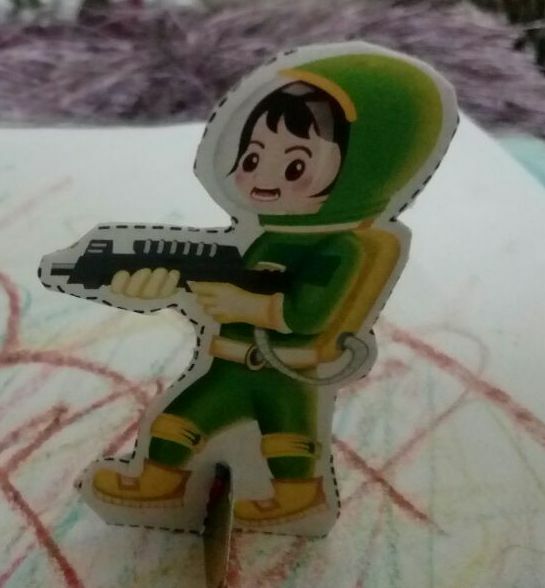 Finally, packs arrived and with the help of my husband, I cut and arranged the space characters from the pack. Then we both brainstormed and created a new story for our son around those assembled space themes. Once kids from all over the world started falling sick 😩. 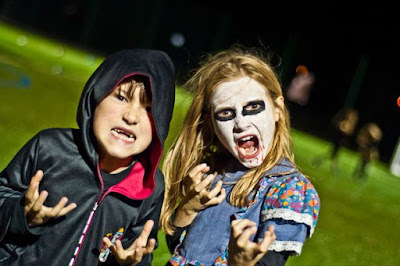 Some unknown kind of disease started making kids weak and less energetic. Doctors were trying their best with different medicines but none of the kids were recovering. They were lazy and didn’t want to go out and play. 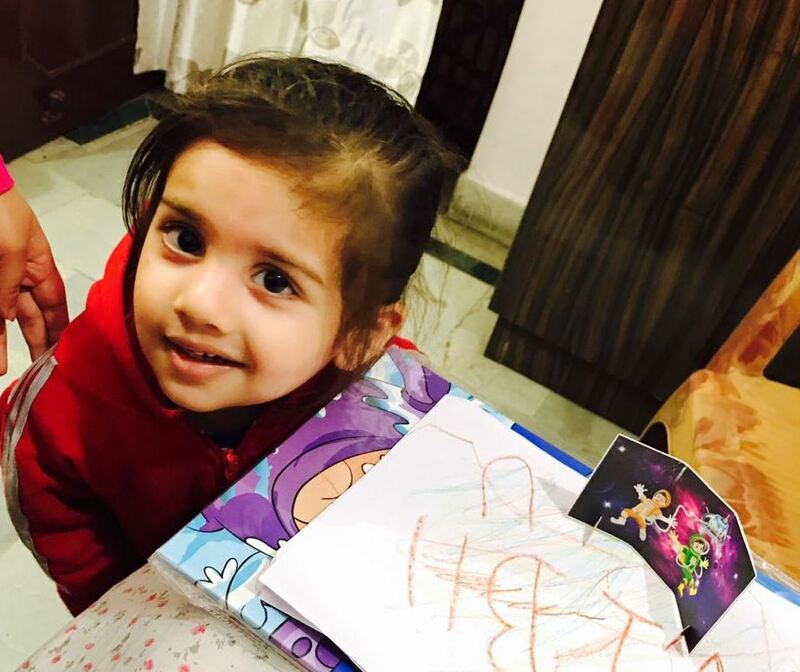 A team of senior doctors started researching the cure of this strange kiddy disease. With their studies and analysis, they found that there was an immunity flower called “Raksha” which could help in making medicine for this disease. But there was a problem 😥. This flower “Raksha” was so rare and had its garden in some other planet called “Vismaya” 💫. This news came out and all the parents started asking help from KSRO (Kids Space Research Organization) to send anyone for collecting those immunity flowers from planet Vismaya. 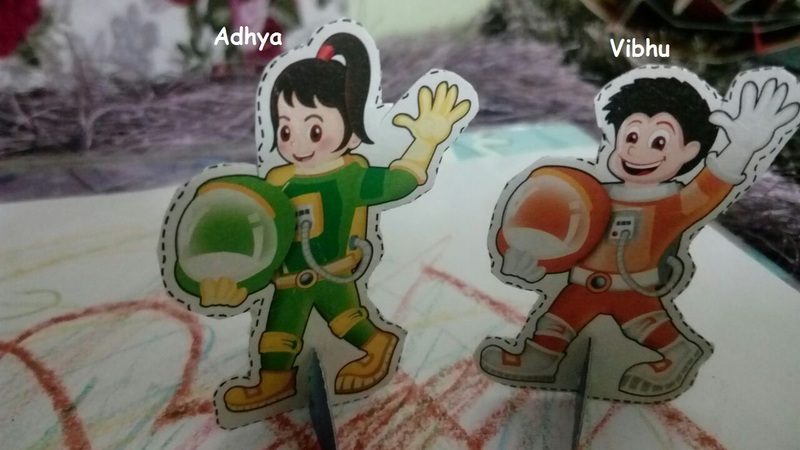 After so much of talks, KSRO decided that two of the kiddy Astronauts, "Vibhu and Adhya” would go to planet Vismaya and would bring plenty of immunity flowers. 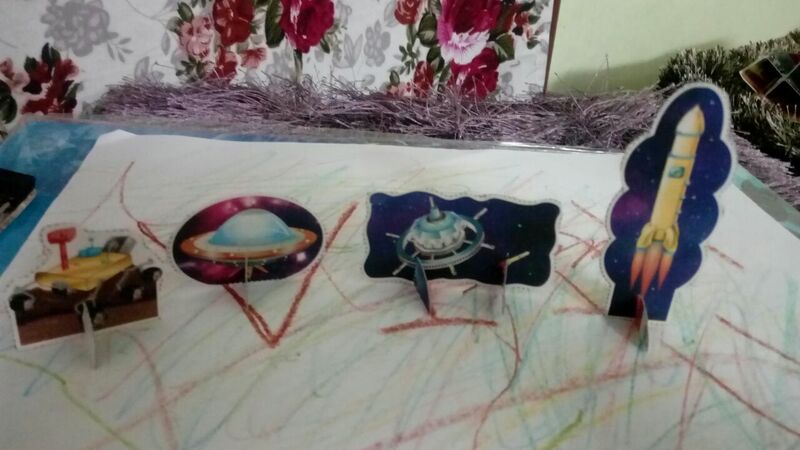 With the help of a spaceship, Vibhu and Adhya reached the space center of the galaxy. There they met with another Astronaut Uncle, “Virendra”. Virendra uncle helped both of them in finding the way to reach planet Vismaya. But to be on safe side, Virendra uncle told them that he would confirm the presence of immunity flowers at planet Vismaya with the help of a rover. 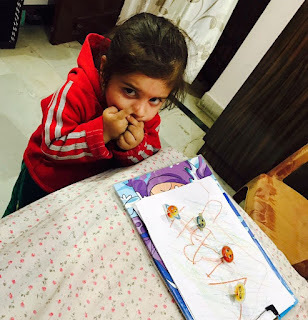 When rover confirmed the presence of a good number of immunity flowers at planet Vismaya, both the kiddy Astronauts, Vibhu and Adhya, started their journey towards planet Vismaya. After reaching the planet Vismaya, Vibhu and Adhya started plucking immunity flowers. While they were putting the flowers into the bag they carried, a strange shadow started moving around them. They both came closer in fear of this odd shadow. Next minute they saw something like a flying soccer appeared in front of them. A gate opened from that big flying soccer like thing and a man with green body came out of it. He was having a gun in his hand. Green Man was an alien and he was also there to take immunity flowers. Green Man asked Vibhu and Adhya to stop plucking flowers anymore. He warned them to shoot his gun. Green Man had a freeze gun which could freeze anyone. Vibhu and Adhya immediately stopped plucking the flowers and came out of the flower garden. Green Man laughed assuming that Vibhu and Adhya got scared of him. But Vibhu and Adhya were brave kids. They quickly made a plan to fight with Green Man. Vibhu started making fun of Green Man so that his concentration could break. 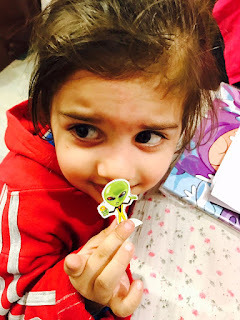 Meanwhile, Adhya took the gun out of her back –pack and warned Green Man to drop his gun else she would burn him. Adhya had a fire gun which could emit fire balls. 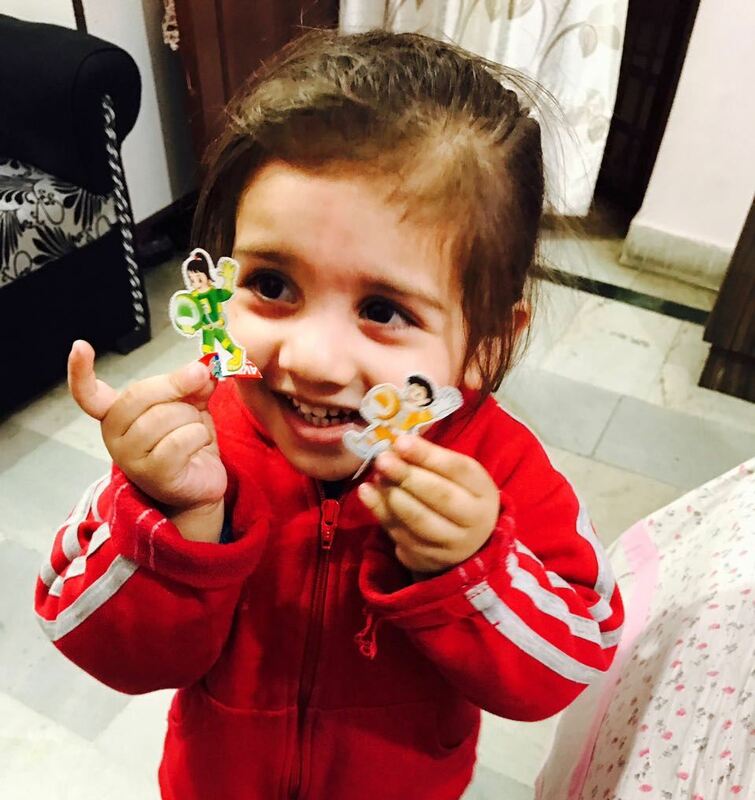 Both, Vibhu and Adhya, fought boldly with Green Man. When Green man’s gun stopped working, he ran away sitting in his flying soccer like plain. Vibhu and Adhya then packed full their bags with immunity flowers and returned back to the space center. There they told everything, about the Green Man and the fight, to Virendra uncle. Virendra uncle explained them that flying soccer like plain is called UFO. After doing some rest, Vibhu and Adhya, then asked Virendra uncle about other planets of our galaxy. Virendra uncle buzzed them to go and meet with a few nearby planets. So, Vibhu and Adhya, wore their space suits and first reached to planet Sun. In their notebook, they noted down one unique thing about Sun. Then they met with big Jupiter, beautiful Saturn, happy Mars and angry Venus. For each of them, they wrote one unique thing in their notebook. Then they came back to space center but on the way, they noticed a moving object with burning tail. They asked Virendra uncle about that burning object and he unfolded that it was a Comet. Vibhu and Adhya then came back on earth and handed all immunity flowers to the senior doctors. With the help of immunity flowers Raksha, doctors made a medicine which cured all the ailing and sick kids. And since then All is well. Kids are happy and healthy 😊!